Dutt Family. One underrated and understated 'film' family about whom very less is written. Maybe, because only one lineage is famous and other family member got lost somewhere in heaps of flop films. Raaj Grover, who was almost a family member to this household of one of the most graceful couple, Nargis and Sunil Dutt, notes down his chronicles with Dutt Sahab's Ajanta Arts, his memories with Nargis bhabhi and other stars with whom he shared a good chunk of his life. Title 'The Legends of Bollywood' is aptly put. As it starts with (the one and only) Amitabh Bachchan. 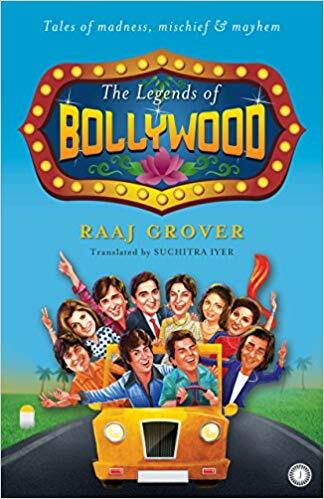 Very intersting tale of Bachchan's four days leave from job and what he did with Raaj Grover in the city of dreams - a chapter makes a very good start of the book. Which further goes into lives of Yusuf saab, Dharam ji, Baba, Kapoors and Dutts. An unusual read this is. Because neither this is from pen of journalist, nor its from mind of a star or an actor. 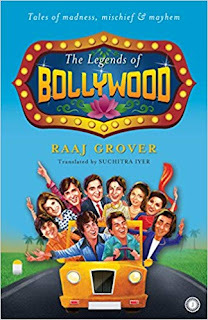 But being a producer, Raaj has this advantage of being impartial, and very natural, so that the reader himself doesn't feel deja vu when reading anecdotes about years in which Indian cinema evolved from b/w to stereophonic sound and cinema-scope. My favorites are obviously of - Dutt sahab and Nargis's tales. Even Balraj Sahni's chapter makes a really good read. Despite the fact we know many bits and pieces of the incidents described herein, as a bolly-lover, it's always a treat to read, repeat, read, and so on. Just one thing I would complaint here is - it doesn't tell us much about baba's dark period. It felt like Hirani has written more than this-despite of being more attached to tbe family. That little rant apart, this is surely a book for all bolly-lovers outthere. Because some memories are meant to be lingered on. Oh yes, and by supporting it and buying it, you will help funding the ever serving Nargis Dutt Foundation. What a generous contribution by the author.